The visit begins at the wine cellar reception. Travelers are greeted by a bilingual guide who will begin the tour. This is the perfect place to learn all about the history of the vineyard, organic and biodynamic agriculture and the process of winemaking, whilst enjoying panoramic views of the vines. The tank rooms, the beautiful, peaceful aging room and the architecture of the winery are all highlights of the visit. The tour ends with a wine tasting, either in the underground tasting room or on the outdoor terrace overlooking the vines. After the tour, visitors will have a chance to purchase their favorite wines, accessories and local crafts, as well as gourmet products in the shop El Emporio. In this tour you will become acquainted with our vineyard’s organic and biodynamic management, and the key factors required to produce high quality wine with identity and character. The trail will take you through a natural corridor, full of aromas, sounds and views of our estate finishing at a view point overlooking Sauvignon Blanc vines, the place where Matetic wine was born. This excursion offers the perfect opportunity to explore the vineyard, cattle farm and forest, as well as the cool breeze which blows through the valley, carrying the sweet aromas of the Chilean countryside. You enter the Valley riding along the Rosario stream, and then pedal across meadows and cornfields before discovering the privileged spot that gave gives birth to the unique Matetic wines. This excursion takes you along a scenic route with views of many different landscapes you will have the chance to observe the native flora of the El Rosario Valley as you climb the Bahamondes hill (403 meters/1.322 feet above sea level). At the top, weather conditions allowing, you can see both the Pacific Ocean and the Andes Mountains. On the way down, in the Corralillo area, you will be able to see the Ibacache Mountain Pass. Duration: 2 hours and 30 minutes approx. Enjoy this unique opportunity to see our vineyard up close, biking among rows of Sauvignon Blanc. During this relaxed ride you will learn more about our vineyard, the biodynamic management of our production, and enjoy the wonderful scenery. 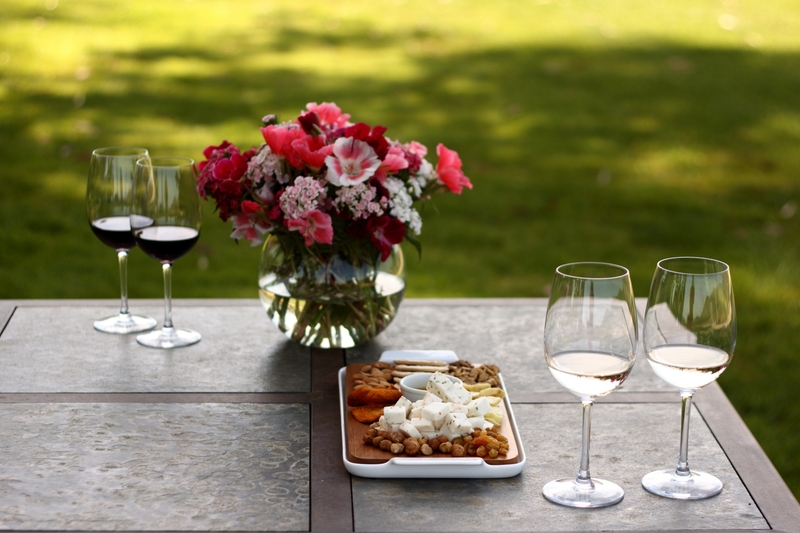 You will also enjoy our delicious and fresh Sauvignon Blanc, right next to the vines that produced it. This traditional excursion begins with a short trip by van to the stables, followed by horseback riding towards the vineyards and the Sauvignon Blanc viewpoint. 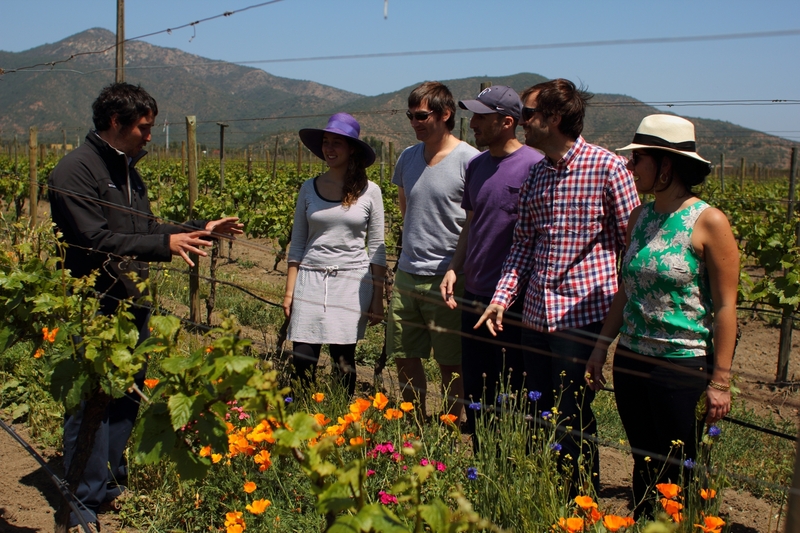 Led by one of our expert guides, and in the company of a huaso (Chilean cowboy), guests will ride through the valley and the vines, seeing native plants, seasonal flowers and perhaps some native wildlife. * Enjoy a unique experience discovering the essence of the Chilean countryside with the option of cycling, trekking or horseback riding at Matetic Vineyards through native trees, grapevines and local fauna. After the excursion, enjoy the Corralillo Tour & Tasting at our wine cellar and finish with a Rosario or Countryside Barbecue lunch at our Equilibrio’s Restaurant. Intensity: Varies depending on the level of excursion taken.